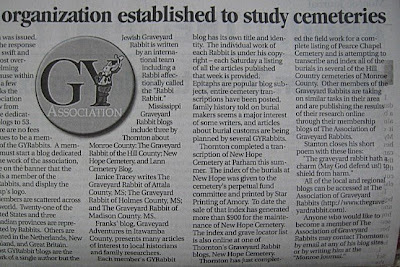 The Association of Graveyard Rabbits was featured in an article in the Monroe Journal, Amory, Mississippi, December 24, 2008, page 8A. 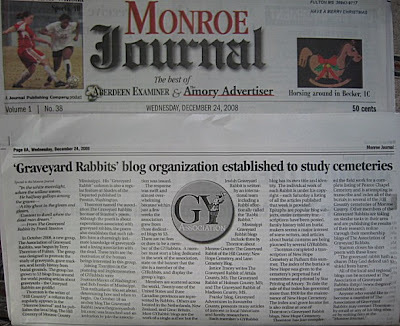 Here are some images of the article, Graveyard Rabbits blog organization established to study cemeteries. 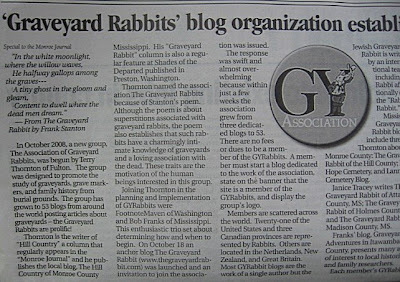 Thanks, Monroe Journal, for printing an article about the Graveyard Rabbits.